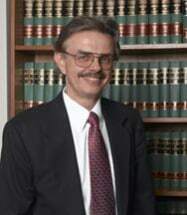 Larry Hall has over 40 years of experience in real estate law in Bremerton. Born and raised in Bremerton, Mr. Hall has lifetime ties with many of the businesses, school, and philanthropic organizations in the area. Larry has been practicing since 1973 and has been with the firm since its inception in 1981 as a co-founder.